It isn’t just your imagination: The news media disproportionately links mental illness and violent behavior, a new study found. Researchers from Johns Hopkins University examined 400 random samples of news stories about mental illness over two decades. They found that more than a third of all news stories about mental health conditions were linked with violence toward other people. This figure does not reflect the actual rates of interpersonal violence where mental illness is involved, according to the study’s authors. Data suggests only 3 to 5 percent of violent acts can be attributed to serious mental illness. But suggesting that mental health issues are a major factor in violence does create stigma for those who struggle with these illnesses. McGinty and her team analyzed both television and print stories with high viewership or circulation and published their results in the journal Health Affairs. More than half of the stories on mental illness mentioned some type of violent behavior, including violence against others or violence related to suicide and self-harm. It’s important to point out that the study did not include local TV news, blogs and other online sources, which may account for a large portion of a typical American’s media diet. It’s difficult to assess whether or not that would have made a difference, McGinty says. 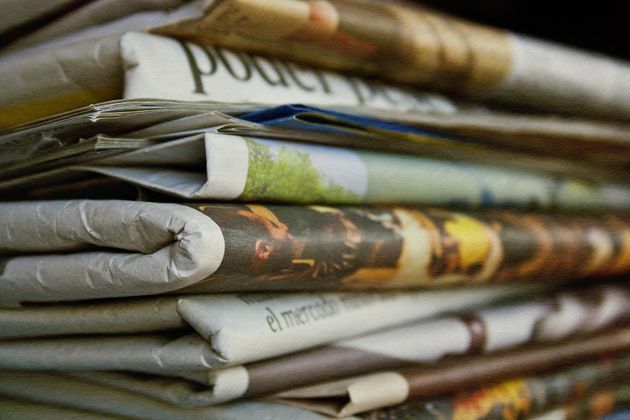 However, the study did find there was very little change in the content and tone of the stories the researchers did examine, which suggests that the media as a whole isn’t totally improving when it comes to mental health coverage. The results are a staggering reminder that society has a long way to go when it comes to eradicating negative mental health stereotypes. People with mental illness are 10 times more likely to be victims of a violent crime than the general population — a statistic that many people, including news reporters, aren’t familiar with. However, violent stories garner a lot of public interest. That makes it easy for the small number of cases where mental illness is involved to get added attention, McGinty said. But of course, that behavior is hardly representative of the one in four people affected by a mental health disorder. That’s why education is so crucial, McGinty says. It can help reduce the social stigma attached to mental health conditions, and one of the ways to do this is by highlighting successful support available to those with a disorder — but only 14 percent of the news stories analyzed in the Johns Hopkins study mentioned effective treatment for mental illness. “For example, when there’s a story that involves mental illness and violence, which can be an unfortunate reality, reporters should also provide counter examples that show what successful recovery and treatment looks like,” McGinty said. Ultimately, the conversation surrounding mental health ought to convey that mental illness is not synonymous with harmful behavior. The media can play a major role in making that happen.